We miss you Macho Man. To some, you might just be the big guy who was always shouting about beef jerky, but to us, you are a legend—man who was just too macho for this world. We remember when you slammed Hulk Hogan into the ring with gusto. We cheered for you as you brought those scoundrels who tried to hurt Miss Elizabeth to justice. We watched every minute of madness and loved it. It comes as no surprise that we wished we could be Randy Savage, if only for a day. Now, that wish can come true with this Randy “Macho Man” Savage mask. 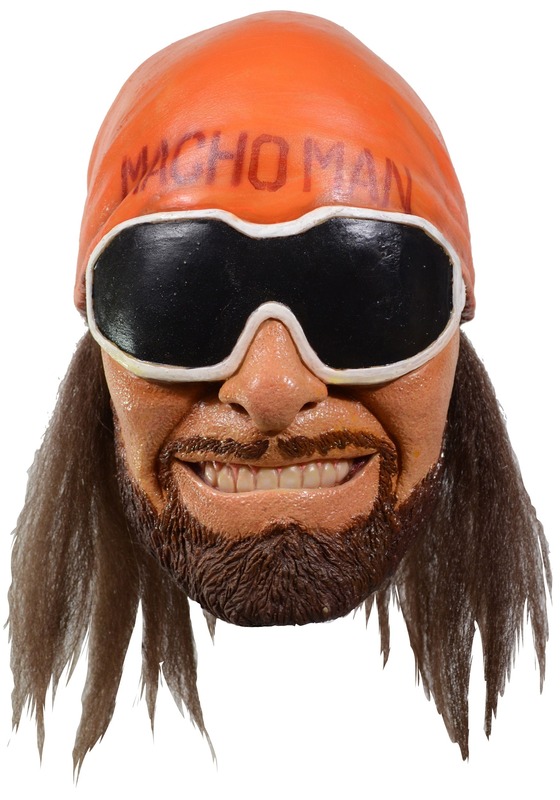 This Macho Man mask comes from Trick or Treat Studios and has a highly realistic look. From the detailing in the skin, the molded features of the beard, this mask really looks like the champ! It comes with his signature shades molded into the front along with attached hair in back. It might not give you the showmanship of the wrestling star, but it will make you feel like a legend, if even just for a day. OH YEAH!